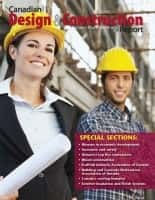 Here are three things you can do right away to achieve success in your architectural, engineering and construction marketing. They are surprisingly inexpensive. It’s always easiest to work from our strengths, and these will vary. If you enjoy writing, write more. If you like working with your hands, build something that demonstrates your skills, and share it. I think you’ll find your greatest marketing inspiration by capturing your strongest points and connecting/sharing them with others. This is where people will turn first, even if you have built most of your business through old-fashioned word-of-mouth referrals. Most likely a potential client will hear good things about you and visit your website before calling/communicating with you. Energy spent on this aspect of your marketing will be rewarded well. If you are hands-on, you can do most of the work extremely inexpensively; if you choose to delegate to experts, this is also okay — because the relative return on investment will probably exceed almost all other marketing initiatives, and if you don’t get things right the first time, you can go elsewhere and still make improvements. 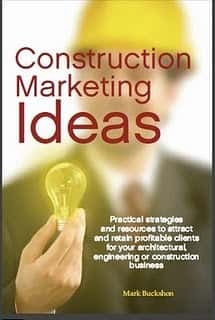 If you have questions about how to implement any three of these ideas, drop me a line at buckshon@constructionmarketingideas.com.